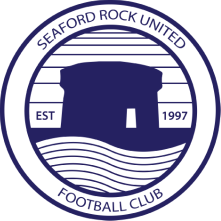 More than anyone else associated with the club in the modern era, Baz represents and embodies Seaford Rock United. His dedication to the club on and off the pitch is peerless, and the club. 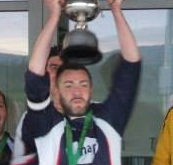 Having won the Second Team Player of the Year award in his debut season in 2004/05, he has been a constant presence ever present as a centre half (and occasional holding midfielder) in the second team for a decade, with the exception of two length absences due to knee injuries. Dominant in the air, with a brilliant sense of timing and a clam presence on the ball, he has been the captain of the side for the vast majority of his time. He has also been a member of the club committee for many years, and has been assistant to various second team managers, including Tom Maher, Alan Burns and Paddy Hughes , before taking on the manager role on a caretaker basis at the start of the 2015/16 season.